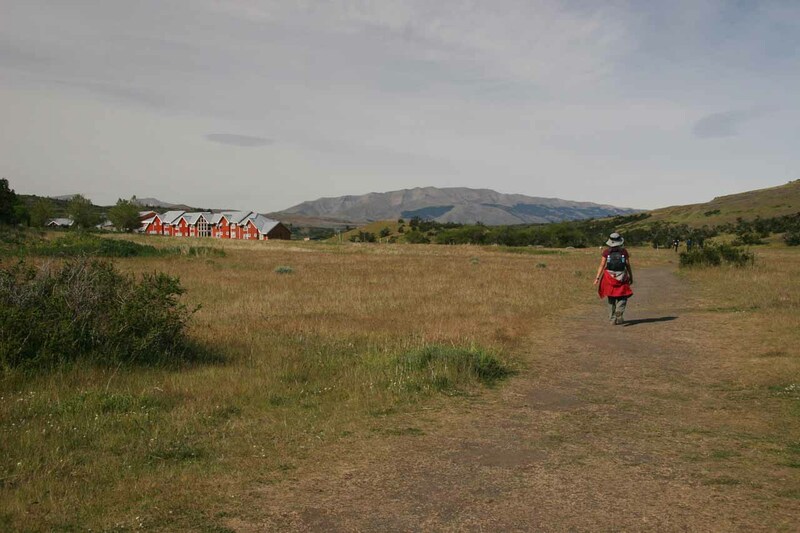 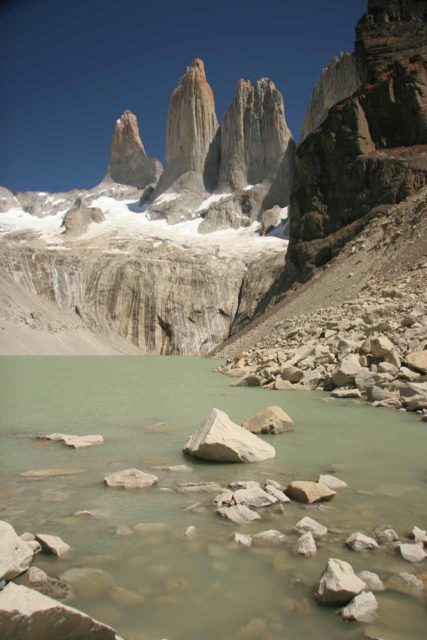 The Torres del Paine Cascades are mountain cascades in which I’ve dedicated this page to acknowledge their quality and quantity seen during the difficult but rewarding hike to see the namesake Torres del Paine (Towers of Paine). 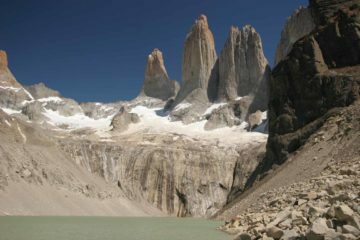 Truthfully, they were my excuse to talk about the memorable hike we did to see those towers in a waterfalling context. 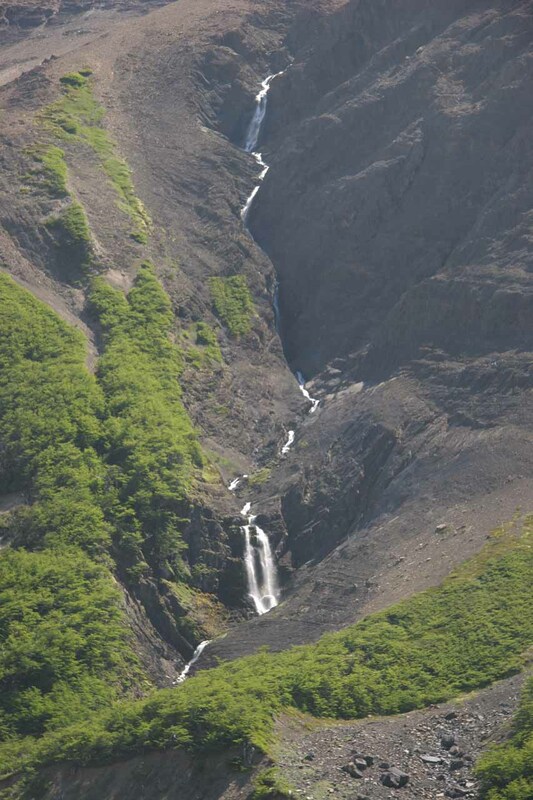 During our hike, we’ve counted at least four noteworthy waterfalls (including the impressive one shown in the photo at the top of this page). 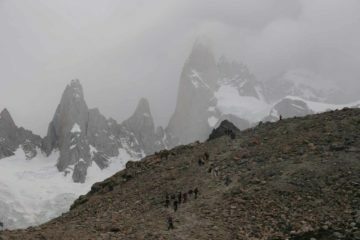 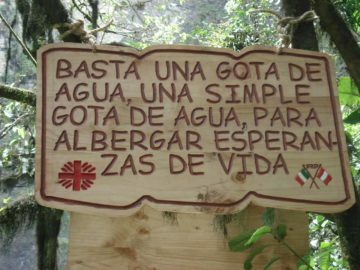 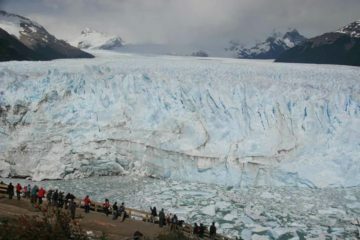 We didn’t even include some of the cascades on the Río Ascensio, which the trail followed for a large part of the trek. 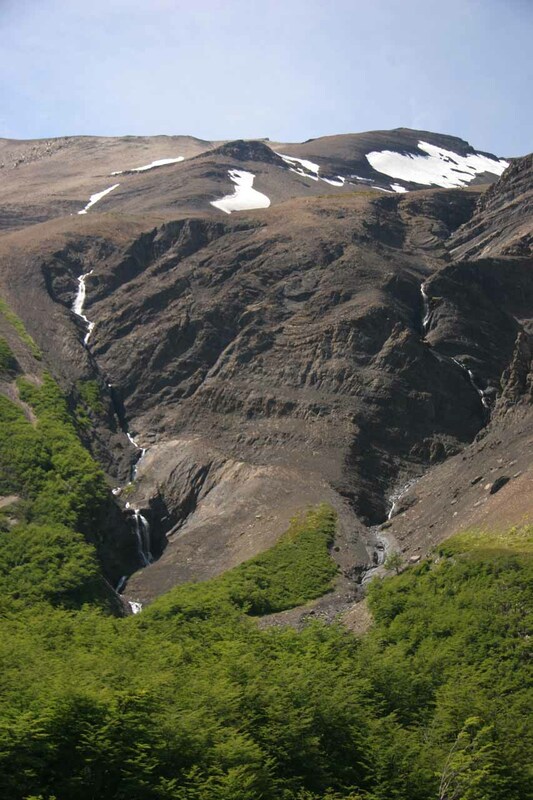 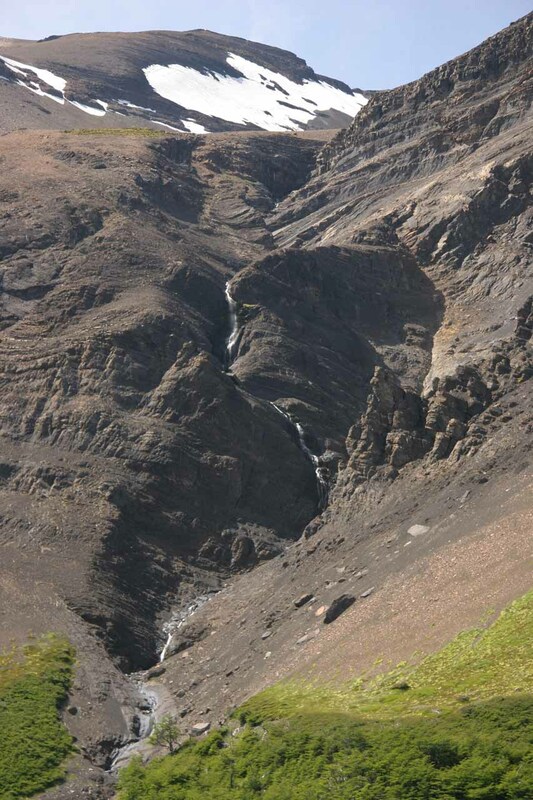 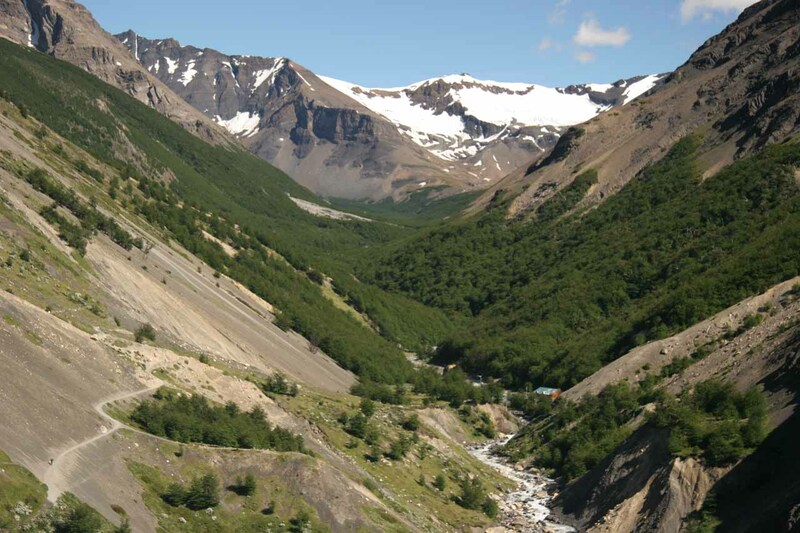 Three of the cascades were actually seen across the Río Ascensio authoritatively tumbling down the opposite mountain. 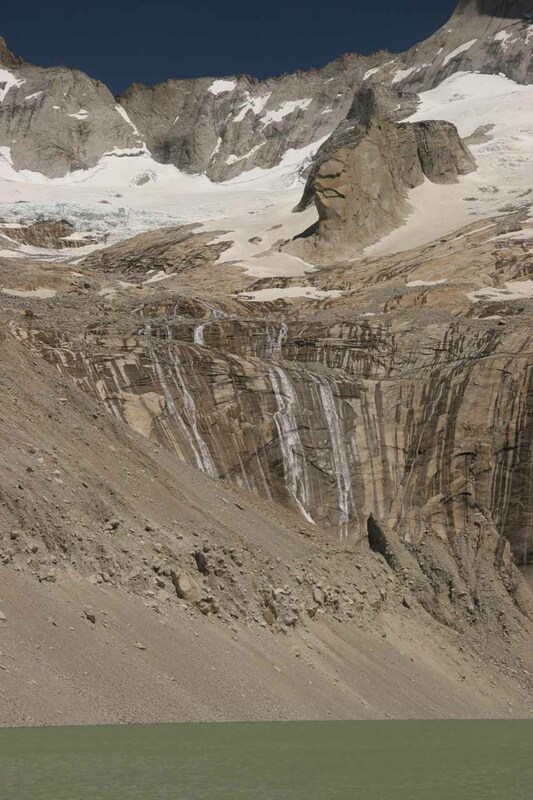 We’ve also included the streaking cascades feeding the glacial lagoon right at the base of the towers of Paine or Torres del Paine. 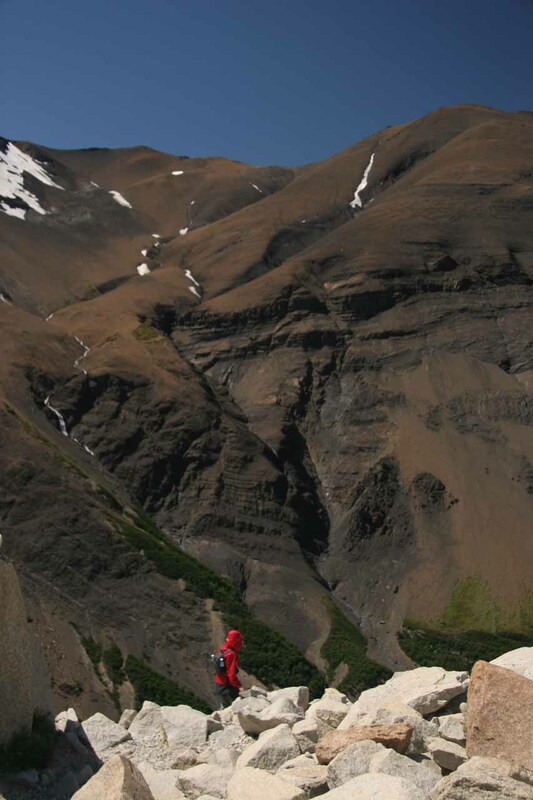 While the waterfalls were not motivating factors to do this hike, they were certainly worthwhile distractions for a very rewarding hike. 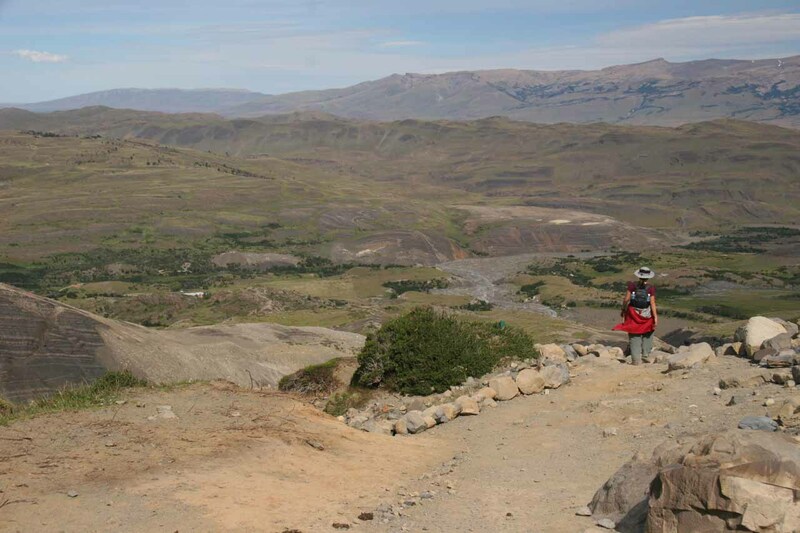 However, the 8- to 10-hour hike to Mirador de Las Torres from Hostería Las Torres was not easy as it was roughly 13 miles long round trip while undulating relentlessly in long hills. 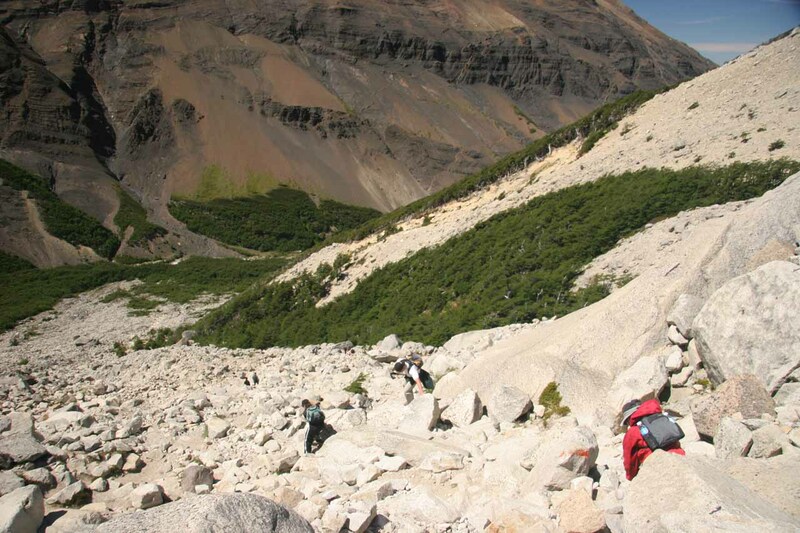 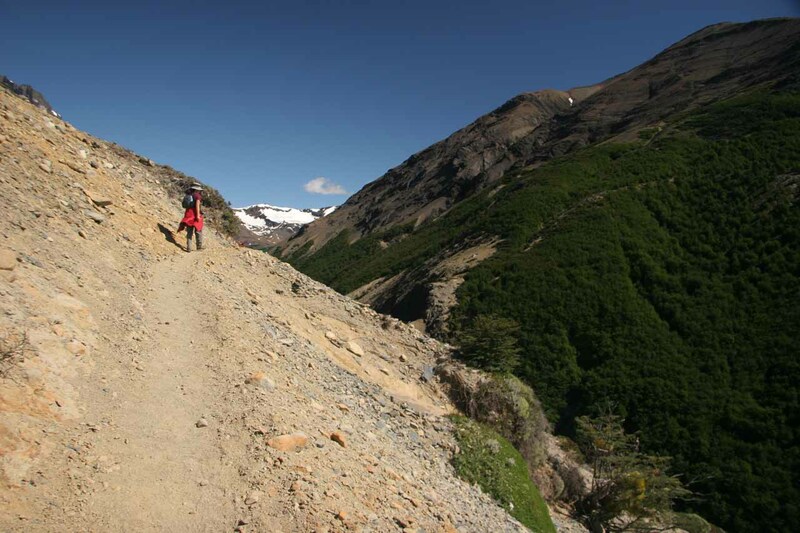 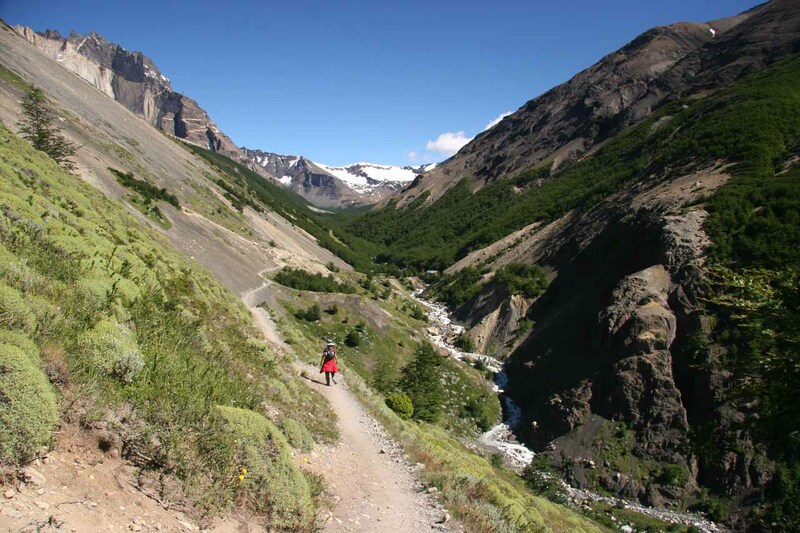 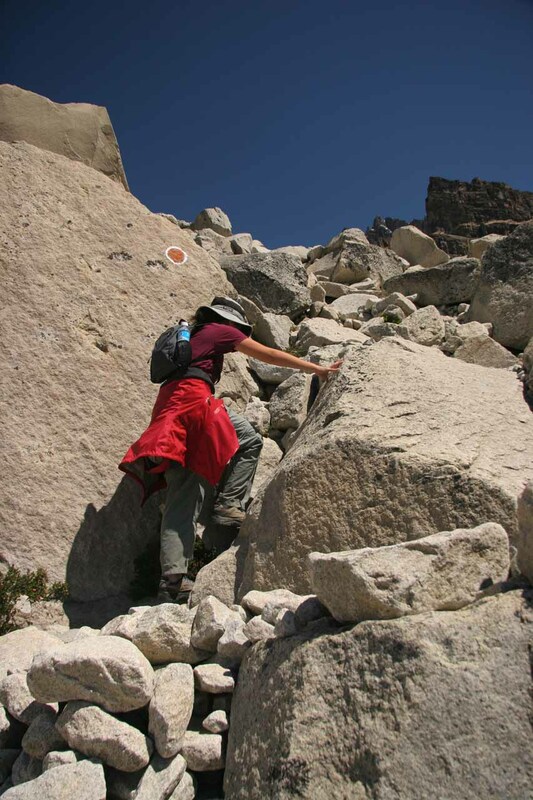 The trail contained exposed sections dropping towards Río Ascensio as well as a knee-jarring boulder scramble at the end. 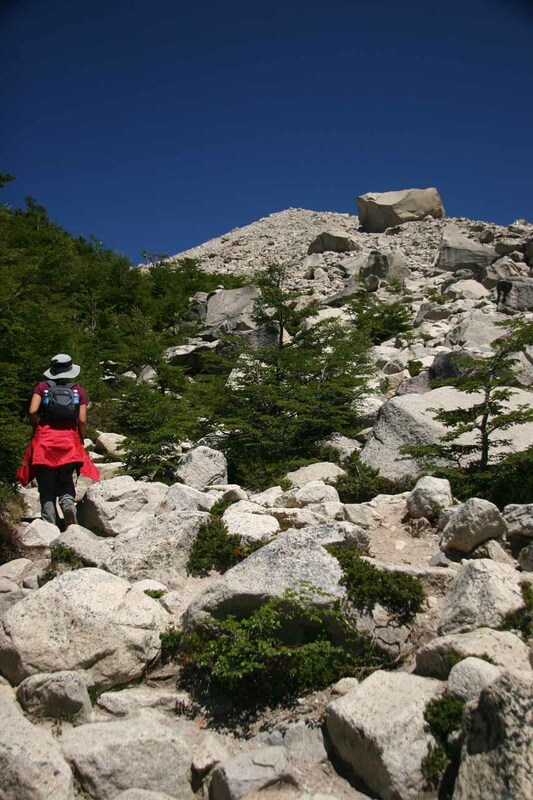 But with all the physical and mental demands of this hike, we were able to persevere and be rewarded with memories that definitely stayed with us long after the hike was over. 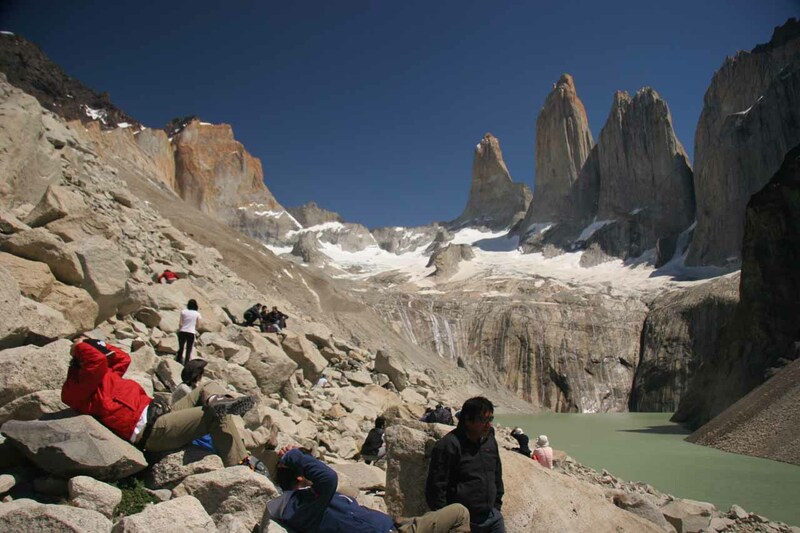 In addition to gorgeous panoramas and waterfalls, we also had stories to tell our friends and family. 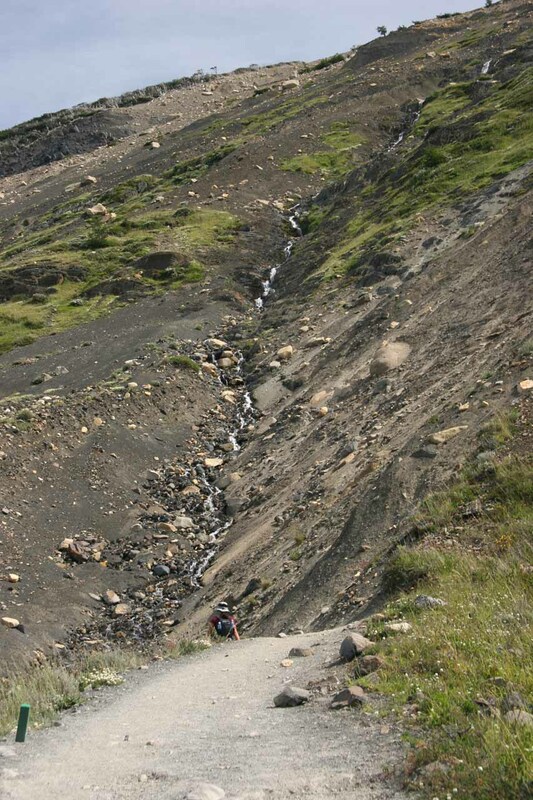 In other words, we highly recommend this hike despite all the things that might conspire to keep you from doing it. 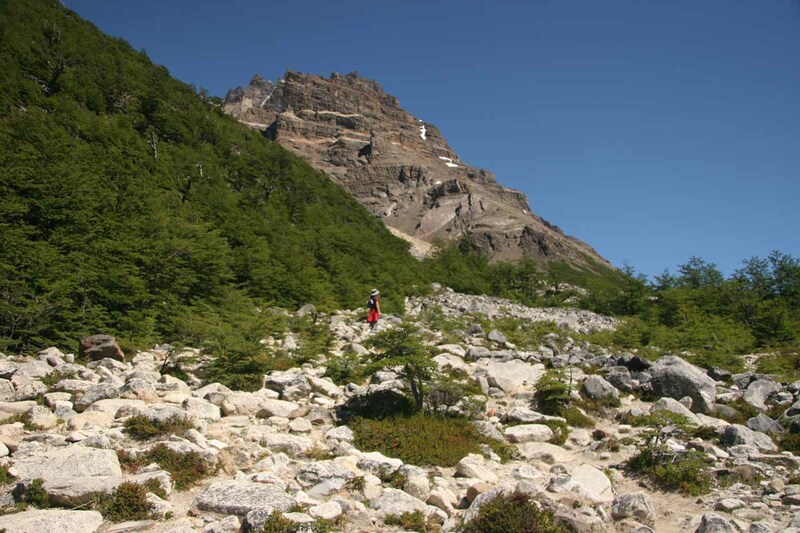 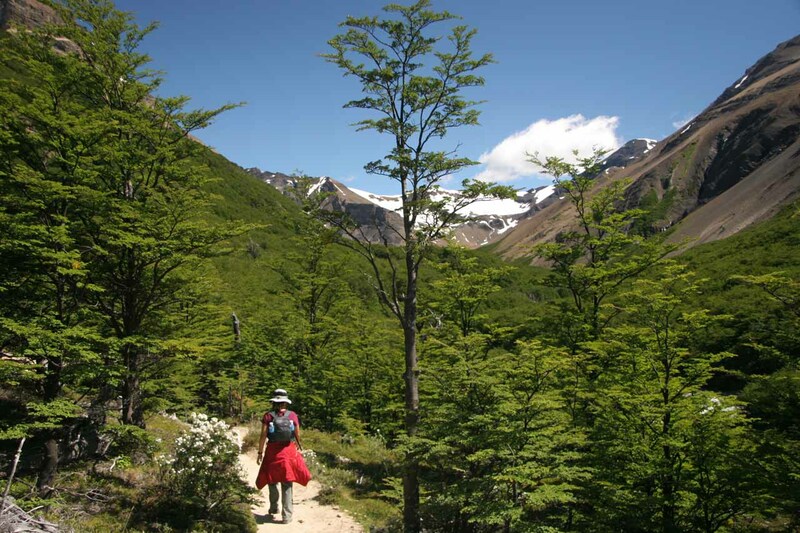 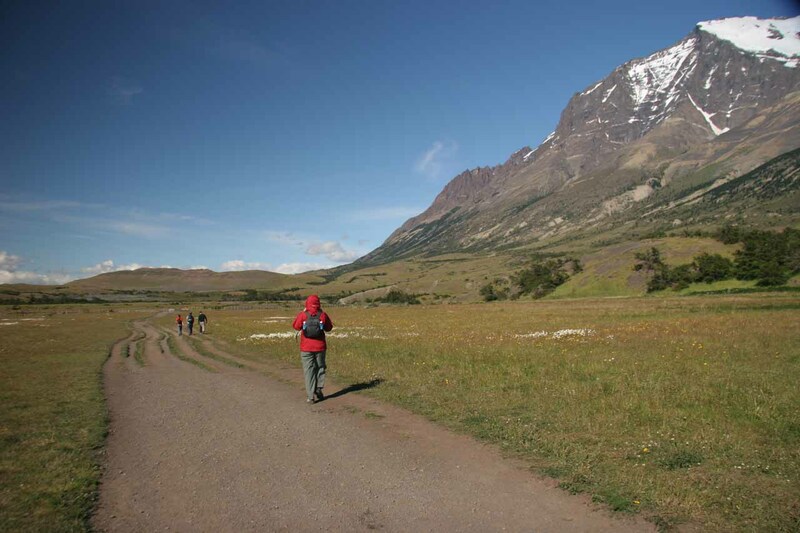 We started this hike from the bustling Hostería Las Torres. 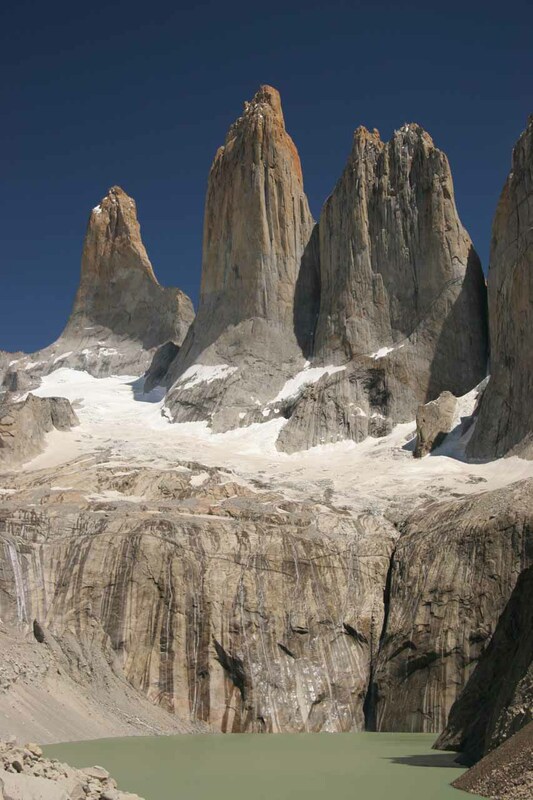 Since we don’t have a road atlas, I can’t give exact directions, but it’s well signposted and has a large car park. 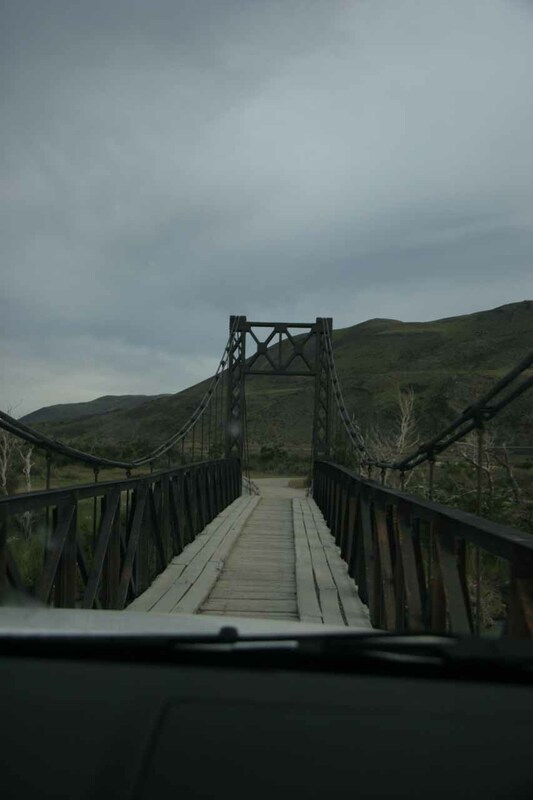 I did recall having to cross a very narrow bridge where we had to fold the side mirrors while driving the spur road to the hotel. 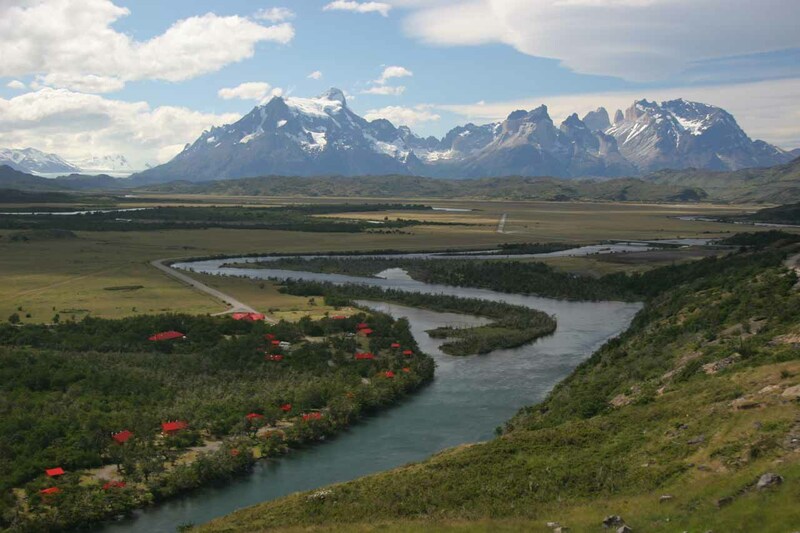 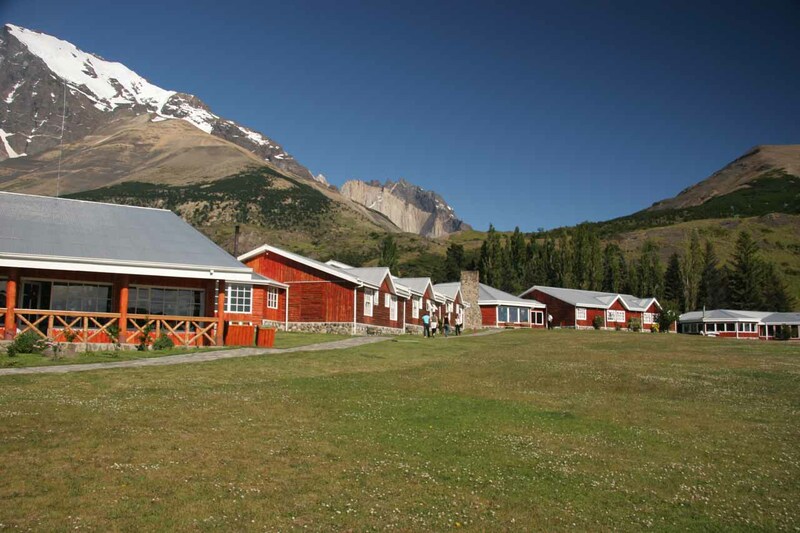 For context, Hostería Las Torres in the general Torres del Paine area was about 274km (under 4 hours drive not counting possible border crossing delays) south and west of El Calafate, Argentina.